So I have purchased my SSL, now what…? Purchasing a Secure Socket Layer certificate can be confusing especially for the first time. 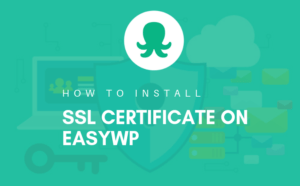 But because an SSL Certificate is a reason you need for your website visitors to trust you with their sensitive information I will show you how you can purchase this certificate for your website. If you want to encrypt information and data that is transferred between your server and and a client, then that is a right reason to learn how to purchase an SSL certificate for your website. Before an average internet users fills any online form requiring sensitive information such as credit card information with your website they have to trust you and the way you do this is through purchasing an SSL certificate for your website which is installed on to the server on which your website is hosted. This is very important especially if your website deals with buying and selling or uses any form of online payment methods that takes payment directly through your website. No concerned user will risk filling a form such a form if they don’t see a padlock next to the address bar of their browser. I will elaborate steps you go through while purchasing an SSL for a website after which you will be able to gain trust from people visiting your website. I will also recommend you a where you can purchase an SSL certificate. To learn whether or not you need an SSL Certificate for your website, please follow this link to a detailed article explaining why you may or may not need an SSL certificate. So What do I need to purchase an SSL Certificate? On your way to purchasing an SSL certificate you will carry with yourself a few tools. First of all you need to have for yourself an online payment method such as a credit or debit card, MasterCard, a working PayPal account and similar online means of payment because you will of course have to pay for this certificate. Before going a head to purchase an SSL certificate you should know if the servers in which your website reside support SSL certificate. 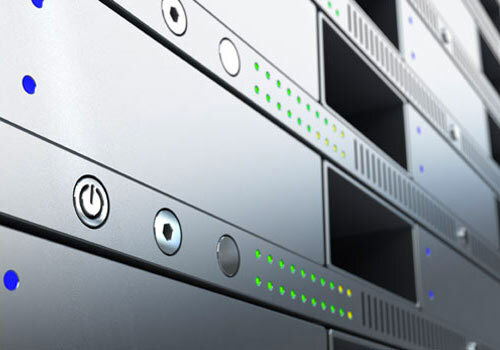 Most shared servers don’t support this feature that is why you may need a dedicated server if you are planning to have a store on your website. You do this buy contacting your host and ask them to generate you a Certificate Signing Request for your server. Some hosting companies have this option available for their clients they you may not even need to contact them since you can do it on your own. The other requirement is a registered domain name, to learn how to register a domain name here is a detailed post on how to. This is a domain which you will actually be validated. However, you can still go a head and purchase a domain even if you haven’t bought a domain name yet, then after you can buy an ssl you then validate it with your already purchased SSL certificate. That is all you should have on your way to purchasing an SSL certificate. Now that you have no doubt on whether or not you need an SSL certificate, let me walk you through the steps you will generally go through while purchasing an SSL certificate for your website. By the end of these steps you will have full knowledge on how to own one for your website. 1. Visit a Certification Authority Online. Firstly, because you are going to do this online, you will have to visit the website of a company that issues ssl certificate aka Certification Authority. Most web domain name registrars usually sell SSL certificates as well, companies such as Namecheap, Godaddy, 1&1 do sell SSL certificate. However I will recommend you purchase from Namecheap for reasons we will look at later in this post. While you are on the CA’s website, locate an SSL tab or link. Since such website provide several services, you may have to locate a link or tab that takes you to page through which you begins the process of purchasing ssl certificate. 2. Choose an appropriete SSL Certificate. After you have made it to the SSL page, you are required to choose validation level you want to purchase. You will see options like DV (Domain Validation), OV (Organization Validation) or EV (Extended Validation). On choosing any of the above, thereafter you have to choose how many domains you want to validate that is to say, single domain, wildcard or multiple. At this stage you also see a drop down menu from which you can select the number of years you want to pay for and the minimum is a year. After which you will have to renewed by paying on the expiry of the paid period of time. Now that you have chosen your appropriate validation, you need to add it to the shopping basket or cart to continue. Remember you can still do some small edits to this item even after you have added it to the cart. For instance you can still select the period of time in years and even removing it to start over if you change your mind. Having made it through to this step all that is left is to place your order. You are required to choose a payment method from plastic cards such as Visa Cards to Online account such as PayPal. If you choose to use a Visa Card, you are then to fill a form with your Visa card details and if you choose a PayPal method of payment you will then be redirected to login into PayPal account and proceed with the payment. After your order has gone through and has been successful, you will be confirmed with a message from the CA you are purchasing through. Depending on which certificate you are purchasing, you will have to wait before your certificate is issued to you. Some take a short while to be validated like for Domain Validation which might take about fifteen minutes since they don’t require paper work. For validations like Organization and Extended Validation issuance of this certificate takes a long while since you are even required to provide documents regarding your company before such a certificate is issued to you. Now that you have purchased your SSL certificate the next step is to activate it. If you already generated a CRS code then you are good to go, if not yet then go a head and generate it or ask your hosting provider to do it for you. When you generated a CRS code you are given a RSA private key which is required for installation of your certificate. At this point you are ready to go ahead and install your certificate on the web server where your website resides, you can do this yourself by following instructions from your server software or by contacting your hosting company about installing your certificate. Most web domain name registrars sell SSL certificates too, if you already have one then you might want to check them out. However if you want to go by my recommendation, then I can say that go for Namecheap SSL Certificates. 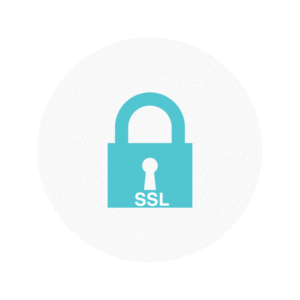 To purchase an SSL certificate now click here. For any comments, questions or opinion please leave your it below this post at the comment box and I will be sure to respond to you. Do you recommend SSL certificates for sites which promote affiliate products for example Amazon, and therefore the purchaser is actually redirected to amazon to make their purchase? I don’t recommend SSL Certificate for such a website since you’ll be redirecting your visitors to a secure website that takes care of their security as they make their purchases. While the visitor is still on your website maybe reading a product review, they are not really concerned about security after all they are still looking out for information about the product you are promoting, they become concerned if they have to share any sensitive personal data with your website. Therefore unless your affiliate website goes beyond asking the reader for an email address, you don’t really need an SSL Certificate. Because of the way that the SSL protocol was set up, you will need a separate IP address for each certificate that you want to use. How long does it take to get my certificate? Hi Omer, the time it takes to issue you a certificate depends on the type of certificate you apply for. A Domain Validation certificate can take under 30 minutes whereas Organisational Validation and extended validation may take days to be issued since it requires verifying the business.